I talked about Lent a few weeks ago. Have you made any lenten plans? Lent is now one third over so we still have a month before Easter is here. 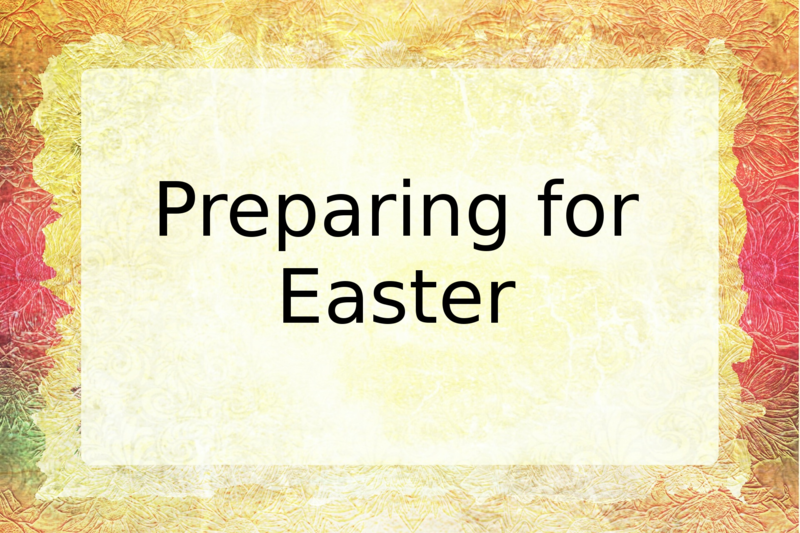 How are you preparing for the celebration of our Lord and Savior? I shared this link a couple years ago but it is so good that I thought I’d share it again today. It says it is a five day Easter study but there is soooo much there that you could easily start this now and spend a week on each day’s studies. Here are a couple other links packed with book suggestions, activity links, and study links. The first is from BenandMe and the second is from FutureFlyingSaucers. Seriously, there is LOTS at both of those sites to check out; you’re certain to find something that is useful. I’m sure those three links will give you more than enough to read today, so I’ll run for now. 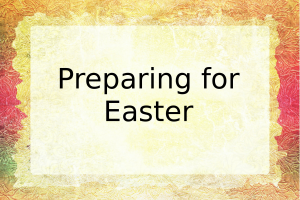 I hope this is helpful in your preparation for Easter.